The federal Liberal government’s controversial overhaul of environmental assessment legislation has united virtually every major natural resources industry association in opposition — and they’re asking the Senate committee studying Bill C-69 to make some fixes to avoid threatening the viability of key sectors of the economy. Speaking last week at an event for Canada’s mining companies — one of the few sectors that has offered support for the elimination of some federal and provincial regulatory duplication in Bill C-69 — Trudeau thanked miners for their “measured” approach to the legislation. “Quite frankly, [a] number of thoughtful submissions and amendments to that, to improve it, [came] from this industry,” Trudeau said. The Canadian Association of Petroleum Producers (CAPP) said the federal Liberal government’s impact assessment changes could inadvertently cripple sectors already grappling with low commodity prices and constrained pipeline capacity. The lack of a “project list” in the legislation — a definitive account of the types of projects that would be subjected to federal impact assessments — has industry associations anxious about the risk of regulatory creep. They fear Ottawa might apply its process to projects that, to date, have operated largely under provincial jurisdiction, such as the “in situ” projects in Alberta’s oilsands. Nova Scotia Power also wants to see the project list restricted to “major, large-scale projects of national significance.” As written, the bill gives the environment minister almost total discretion to put a project on the list for what could be more rigorous scrutiny by federal regulators. “Canada has lost and will continue to lose investment and jobs if we do not have a system with clear rules, clear timelines and decisions that stick. Our livelihoods of Canadian families and communities are at stake,” said Tim McMillan, president of CAPP. The government has said project list details will be published in the regulations, which will be released publicly only after the legislation passes through Parliament. It also has signalled “in situ” projects could be left off the list, despite pressure from environmentalists. The Canadian Nuclear Association has said that while the legislation may be an attempt to streamline the rules, it’s creating uncertainty. “Capital is fluid and investors do not like uncertainty. 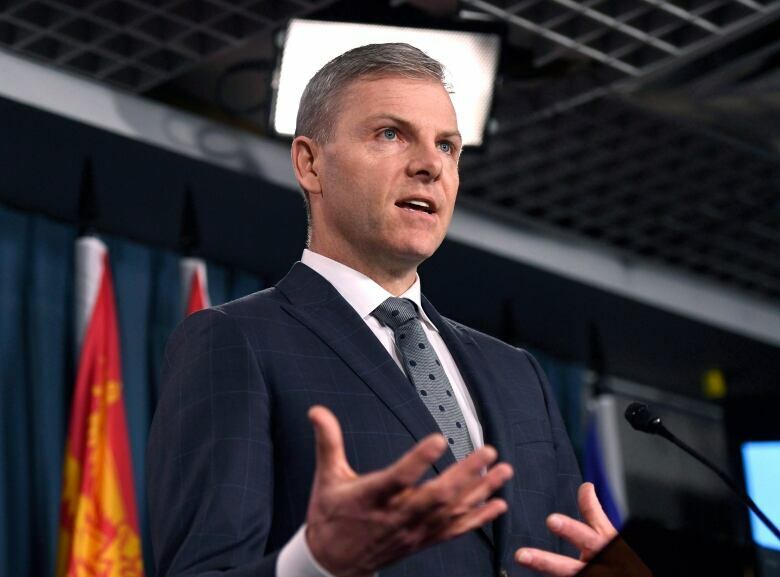 This uncertainty is magnified by the legislative regime being proposed because it is missing a key element, and that is the project list,” John Barrett, president and CEO of the Canadian Nuclear Association, said at a recent Senate meeting. 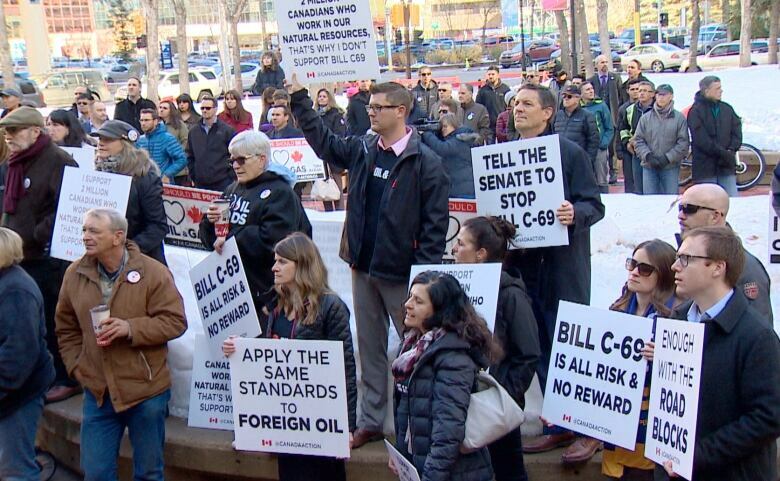 The bill’s supporters say ministerial authority must be preserved and C-69, if it’s passed, would at least compel the minister to say publicly why the government is making a change to a project’s timeline. “We welcome the Senate taking a serious look at this legislation, and we have consistently said that we are open to amendments put forward by the Senate, should they strengthen and improve the bill,” Sabrina Kim, a spokesperson for Environment Minister Catherine McKenna, said in a statement to CBC News. “Canadians deserve the strongest bill possible to protect our environment, honour Indigenous rights and partnerships, and ensure good projects go ahead in a timely fashion. This will create the certainty that investors need and well-paying jobs for Canadians. It is critical to rebuild trust in how we review major projects, and this legislation is an opportunity to get this right,” Kim said. But CAPP, which represents most of the big companies in Alberta’s oilpatch, is also concerned about the addition of a new pre-assessment process. The government has said this will help companies avoid the sort of legal pitfalls that have undermined the Trans Mountain expansion, while CAPP maintains it simply formalizes a process that most companies already follow as a matter of good business practice. Industry associations have reserved their harshest criticism for changes to the “public participation” component of the approvals process. Ottawa has eliminated the “standing test” that applies to deciding who can appear before the regulator weighing project approval. The federal Liberal government has said it believes this will make the process more democratic and participatory. “What we have seen is activists, groups, many of the American-funded activists have taken a very deliberate approach at targeting Canada, first and foremost, and our institutions,” McMillan said. Frank Saunders, the vice-president of regulatory affairs at Ontario’s Bruce Power, said C-69 needs at least some basic criteria for deciding who can appear. “I don’t care how far away they come from, as long as they are talking about the project versus some esoteric view on nuclear energy. There are people who believe you shouldn’t be doing that, and they want to come and argue. They have a right to argue it, but that’s not the forum,” he said.